Picture a Day - The Holy Land Revealed: A Tailor Shop for Yemenite Jewish Embroidery Another Gem from the "Cigarbox Collection"
Another Gem from the "Cigarbox Collection"
Fifty thousand Yemenite Jews were secretly airlifted to the new state of Israel in 1949-1950 in order to escape anti-Jewish pogroms that were erupting across the Arab world. The emergency campaign, called Operation Magic Carpet or Operation On Eagles' Wings, would be repeated decades later to rescue Ethiopian Jewry in the 1984 Operation Moses and the 1991 Operation Solomon when Israel flew thousands of Jews out of Ethiopia and Sudan then plagued by famine and civil war. Neither the Yemenites nor the Ethiopians were motivated by modern political Zionism as founded by Theodore Herzl. They were fervent believers in the ancient Jewish messianic dream of returning to the Land of Israel. From Gondar in northern Ethiopia and the ancient mountain town of Sana'a in Yemen they were determined to reach Eretz Yisrael, sometimes traveling by foot. Such a group of Yemenite Jews arrived in Jerusalem in 1882, and their story and photographs appear here and here. 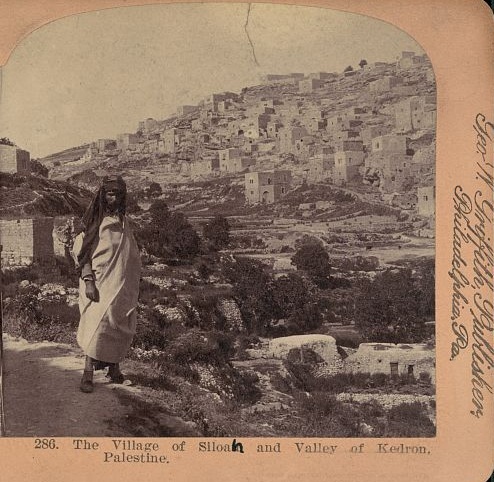 Many were fed and sheltered by the members of the American Colony of Jerusalem. 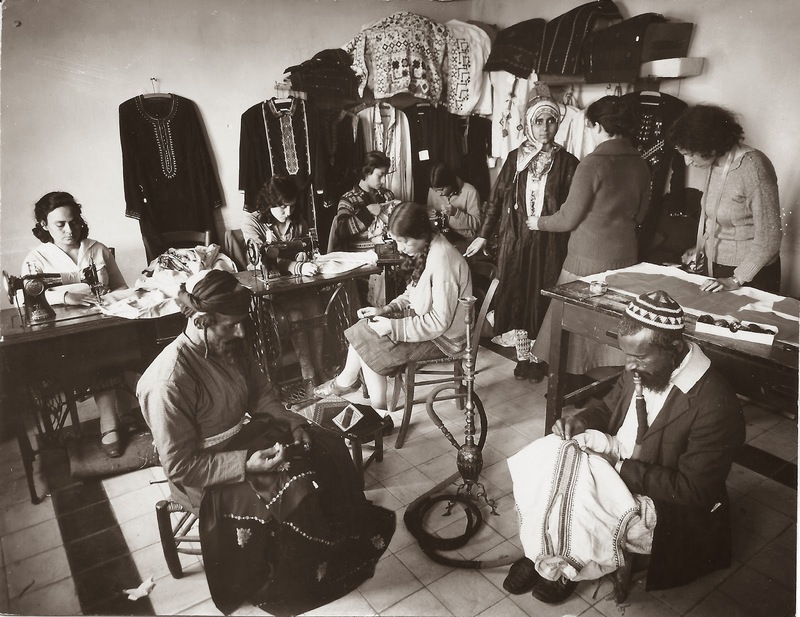 The picture above of the Yemenite embroidery and tailor shop from Otti Seidon's Cigarbox Collection was taken well before the large airlift of Yemenite Jews. These are the children of the olim. 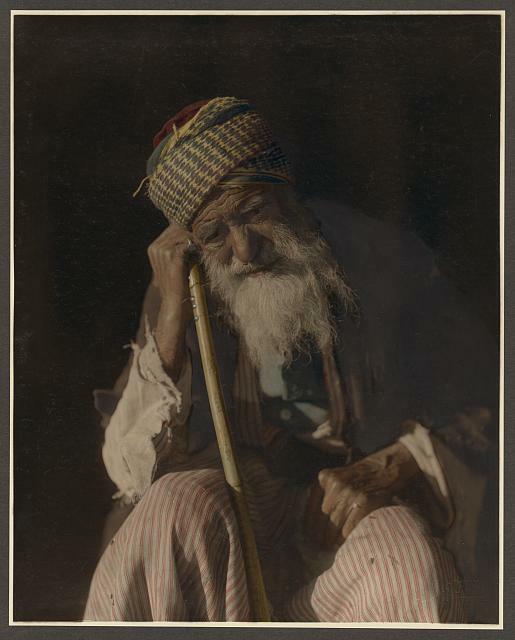 Note the men, including the hookah smoker, working on the embroidery which is not unlike the silver and gold filigree Yemenite Jewish jewelers were famous for. In the 1950s and 60s, cottage industries were set up for Yemenite embroiderers, and their wares were sold by Ruth Dayan's Maskit fashion house, WIZO's women's organization, and a legendary Jerusalem shopkeeper named Esther Zeitz who employed young blind women to embroider. 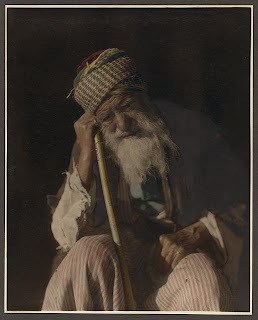 Instead of "Arab Jew from Yemen," "Yemenite Jew from Yemen" or simply "Yemenite Jew" would be more accurate.